Nickolas Ashford (May 4, 1941 – August 22, 2011) was an American R&B singer and songwriter who formed the musical partnership Ashford & Simpson with his wife, Valerie Simpson. Early life Nickolas Ashford was born in Fairfield, South Carolina and raised in Ypsilanti (Willow Run), Michigan. His father, Calvin, was a construction worker at Willow Run, Michigan. He got his musical start at Willow Run Baptist Church, singing and writing songs for the gospel choir. He briefly attended Eastern Michigan University, in Ypsilanti, before heading to New York, where he tried but failed to find success as a dancer. In 1964, while homeless, went to White Rock Baptist Church in Harlem, where he met Valerie Simpson, a 17-year-old recent high school graduate who was studying music. They began writing songs together, selling the first bunch for $64. In 1966, after Ray Charles sang "Let’s Go Get Stoned," a song Ashford & Simpson wrote with Josephine Armstead, the duo signed on with Motown as writers and producers. Ashford and Simpson married in 1974. Career Nick Ashford was part of the singing-songwriting duo Ashford & Simpson with his wife Valerie Simpson. Death Ashford was suffering from throat cancer when he was taken to New York hospital to undergo treatment, but the cause of his death was not immediately reported. However his death was announced by his former music publicist Liz Roseberg. 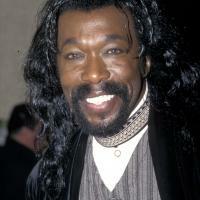 Nick Ashford died in the hospital on August 22, 2011 at the age of 70, four days before his wife's 65th birthday.